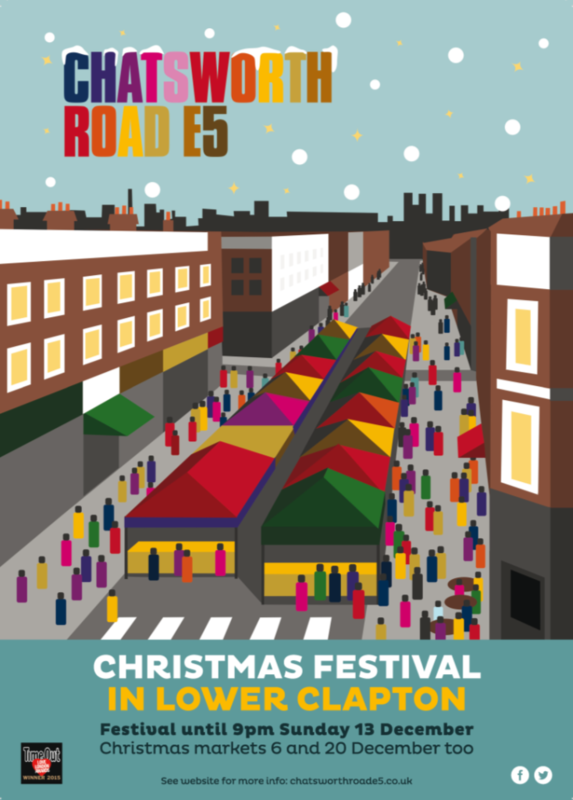 Chatsworth Road’s first Christmas Festival is happening on Sunday 13 December. With the road closed to traffic (see diversion) there will be a live music stage, an outdoor bar by Brew by Numbers and the return of the dog show. For the children there will be a visit from Father Christmas and a bouncy castle. Adults and children alike can swing by the Say Fromage photo booth for a memory of the day. There will also be Christmas markets on 6th and 20th December!